“The Aqua is without doubt a very useful and remarkable instrument to use with children with autism and other special needs. All the sounds that converge while playing become beautiful thus assuring success for the child. The resonance that is created/sustained invites deep listening, sharing and connection. I have added this instrument to my collection of 'practical tools that lead to success' and it is by far a remarkable social skills builder that also brings forth beautiful sounds! A hybrid version of the wooden log drum and the Steel Pan. 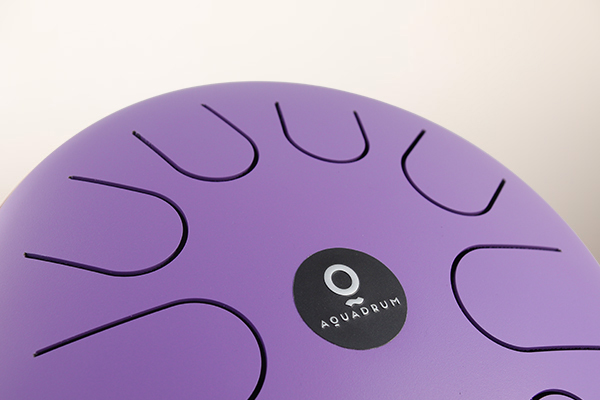 Aquadrum is designed & developed by Deniz Gungor since 2009. The note layout is designed for easy access to the chords & melodies. Protective coating is applied for a fine texture and a cool touching feeling. High quality steel is pressed with a special molding with precision, tempered and quenched for a high quality and vibrant sound. Tongues are cut with a computer operated lasercut for precise measurements. Tuning magnets are placed manually following this process. And finally a rust-free coating is applied for a fine texture and a cool touching feeling. to render the liquid tone and floating quality in your music.